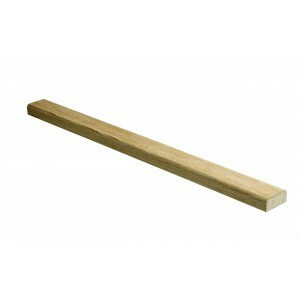 Lengths of base rail in White American oak from the Richard Burbidge stair parts range. These baserails are specially designed to suit glass panels rather than standard spindles. The Richard Burbidge Elements range of stair parts are available with a choice of either glass panels or metal spindles. Elements with glass is a range of stair parts that have been modified so it can be used in conjunction with various parts in the Fusion range of stair parts, allowing you to mix and match pieces from each range so you can create a contemporary staircase of your own design.